Once again a group of female engineers (and one male engineer!) 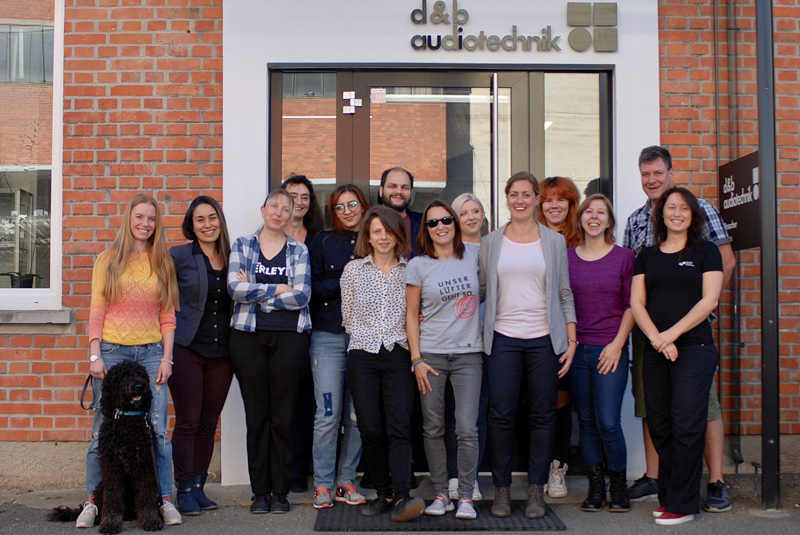 joined d&b audiotechnik in Backnang, South Germany. 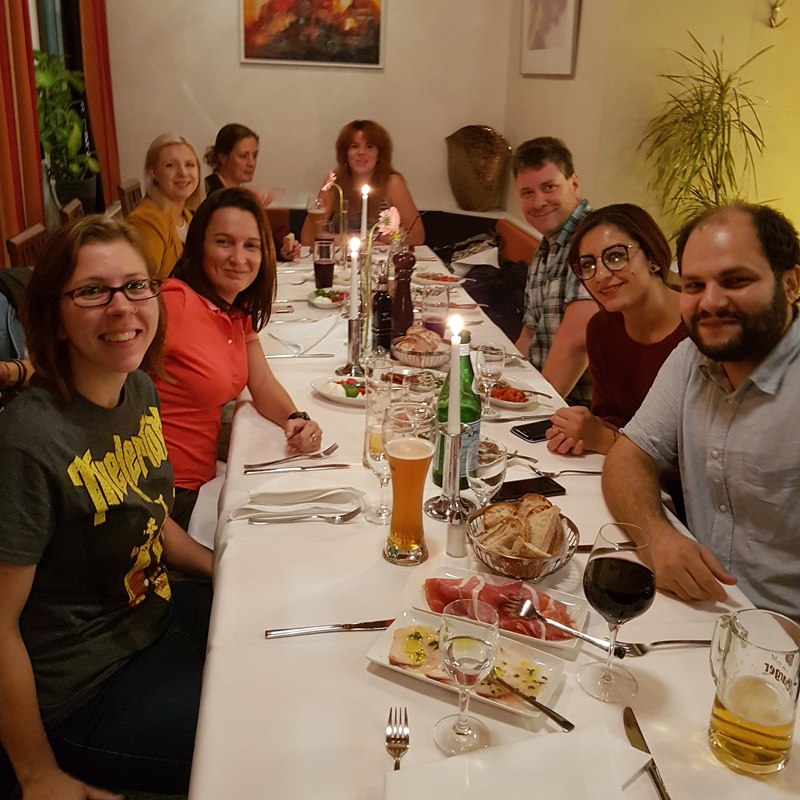 This time, including the teaching staff from d&b, there were 12 nations represented: Russia, Lebanon, Tunisia, Holland, Poland, Denmark, UK, Turkey, Germany, Spain, Czech Republic & Italy! 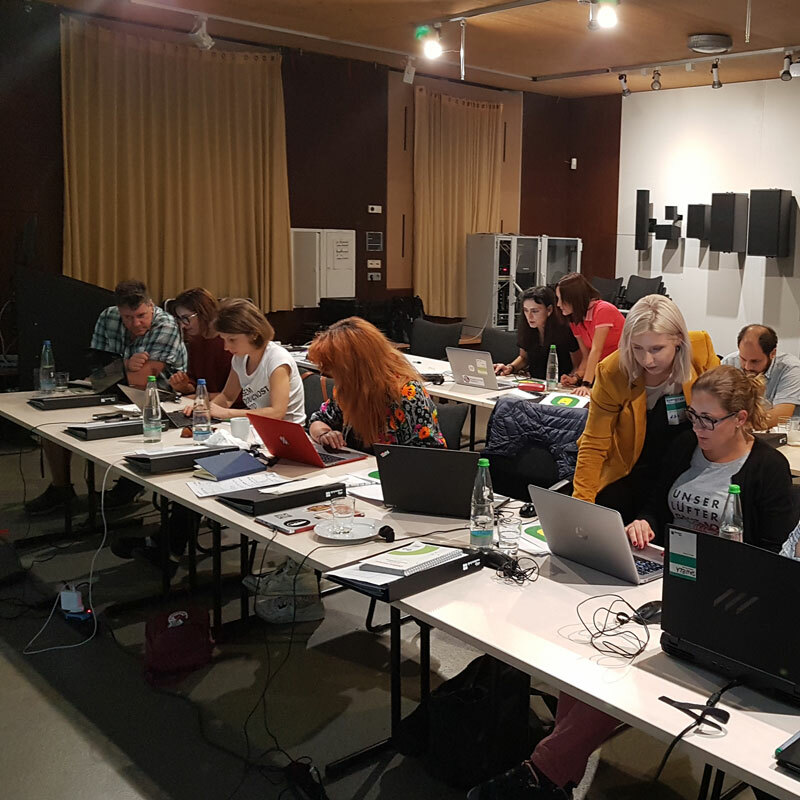 On the first day in the beautiful surroundings of Backnang, we started off gently with a half-day refresher of basic electroacoustics. Everyone was able to benefit from getting a reminder on delay times, placement of speakers, different types of speakers as well as dipole effect etc. The second day was all about Sound Design. Our attendees were introduced to Array Calc; the prediction software from d&b. 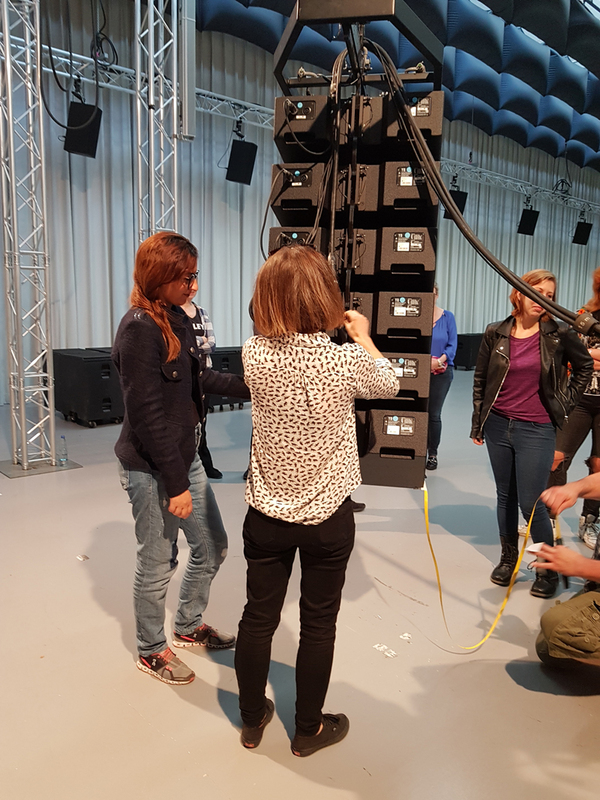 For a couple of hours the tutors had everyone sweating over the stadium design but in the end everybody managed to build an acceptable line array system for their virtual venue. We also talked about how weather conditions can alter the effectiveness your system and how to adjust for this if needed. 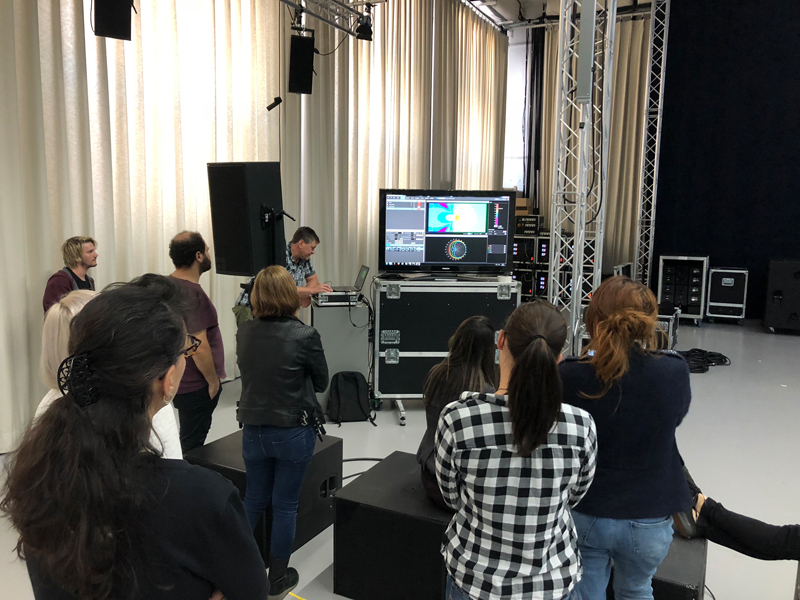 We also had a great introduction to line array theory, which came in handy on our third day, where we got to play with rigging and placement of speakers and listen to line array processing in action! The physics of cardioid sub array was an eye opener to many. 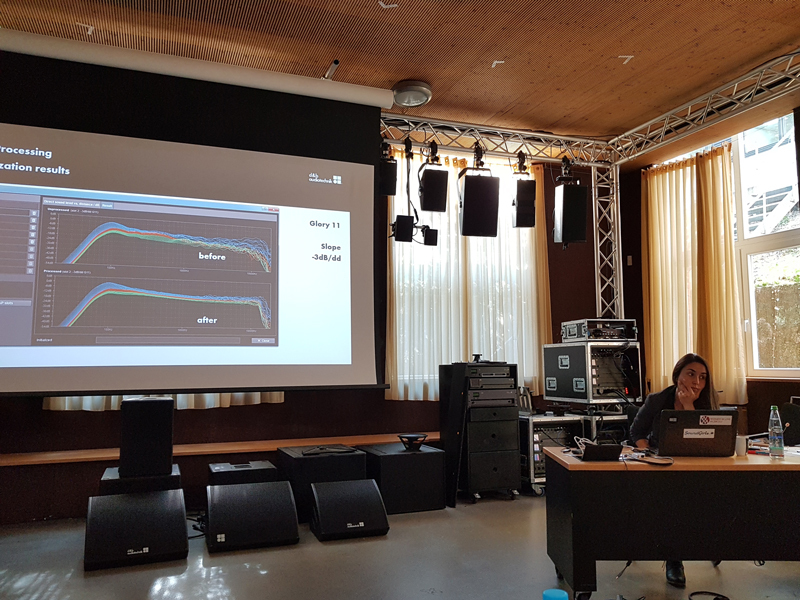 Our final day offered information about environmental noise prediction at open air events with Noise Calc, and we looked into an interesting study on sound propagation through crowds. We also managed to squeeze in a session on Array Processing, which is very important when we talk about Democracy For Listeners! The day – and the workshop was nicely rounded up with an immersive presentation of Soundscape. 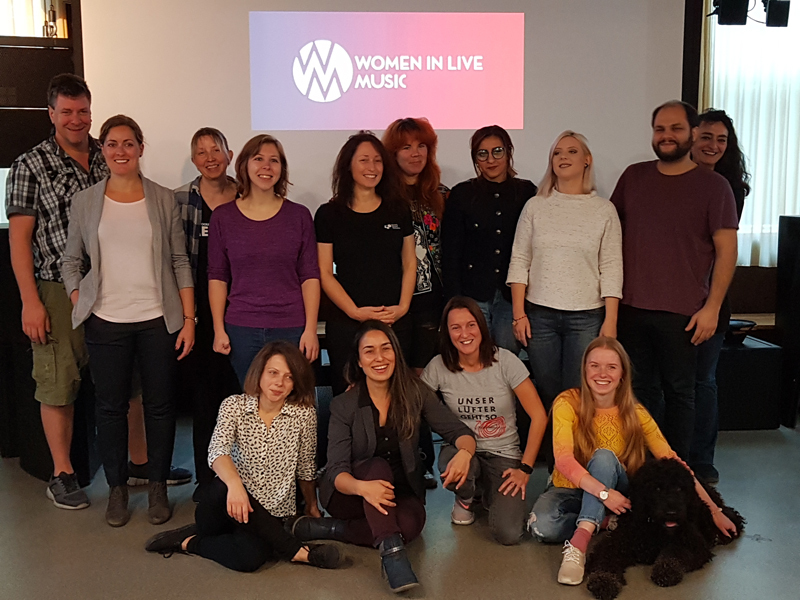 WILM would like to thank d&b audiotechnik for their hospitality, and all attendees for coming – some of you from very far 🙂 Hope to see all of you again!